I'm wearing this comfy outfit to keep slightly warm in the wind but not too warm. 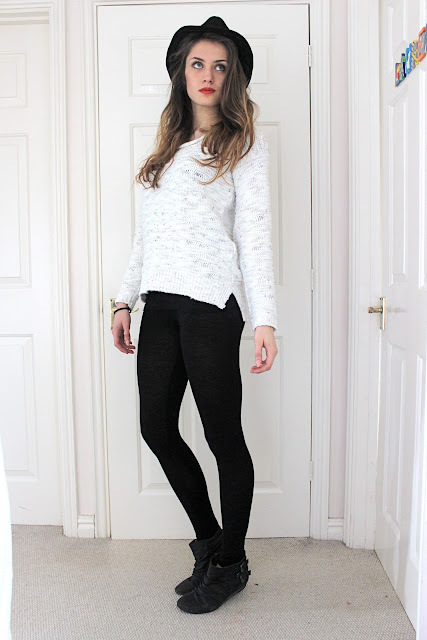 The plain blackness of the leggings, hat and boots emphasises the jumper. I love this jumper so much it's white with red, yellow, green and blue flecks and it's super cosy. The buckles on the boots and the hat add edge to the look and the red lipstick brings it all together.